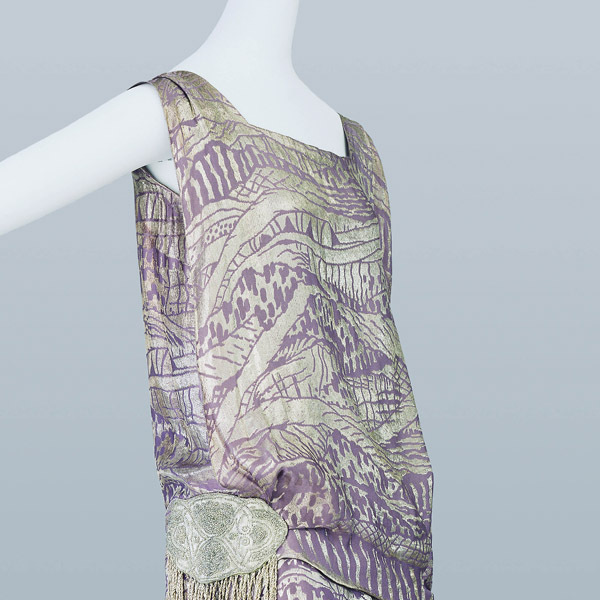 Silk jacquard of lavender and silver lamé with scenic image; bead embroidery and fringe at right hip; uneven hemline. 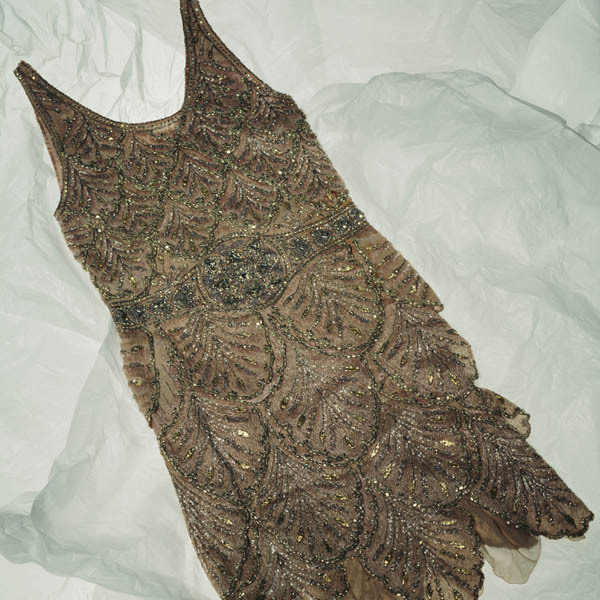 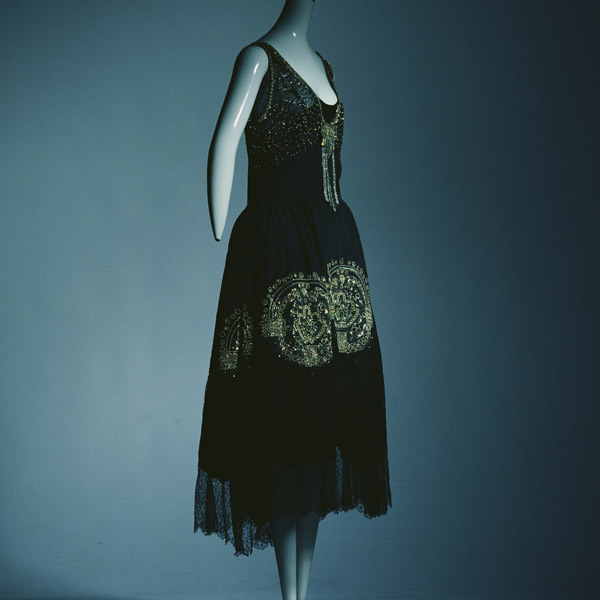 Evening dress with typical 1920’s elements such as metallic feel and flat cut. 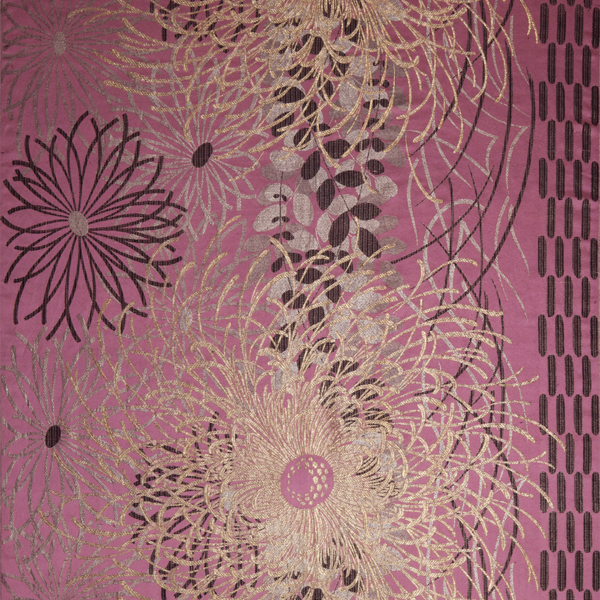 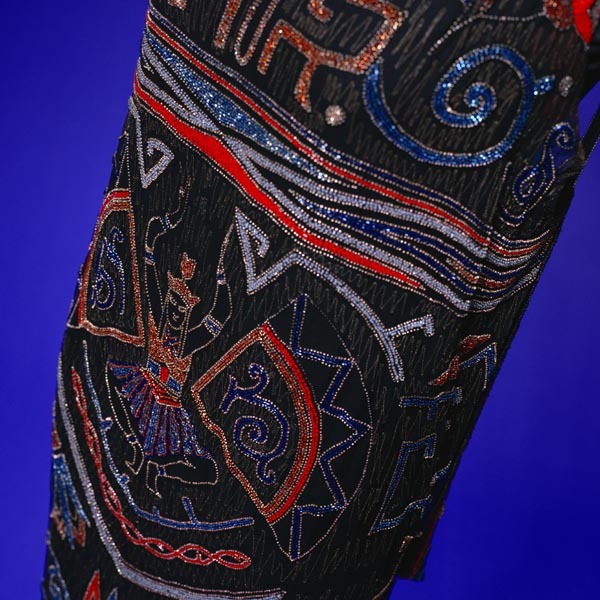 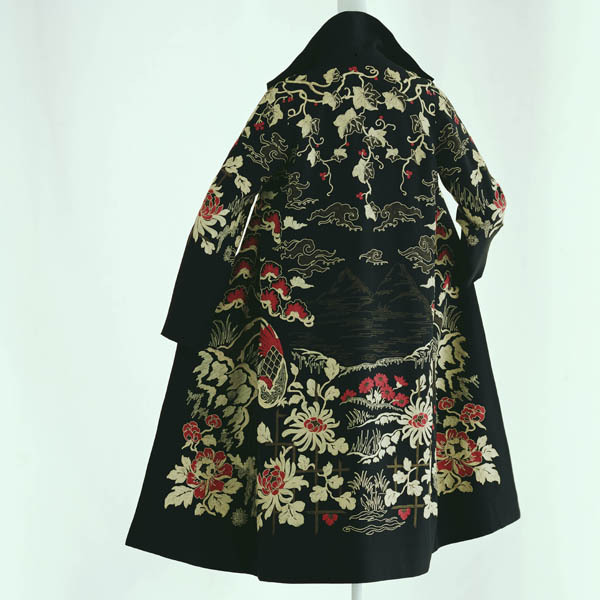 The textile is woven with metallic thread of pattern like that of overlapping mountains, reminiscent of makie (lacquer) designs. 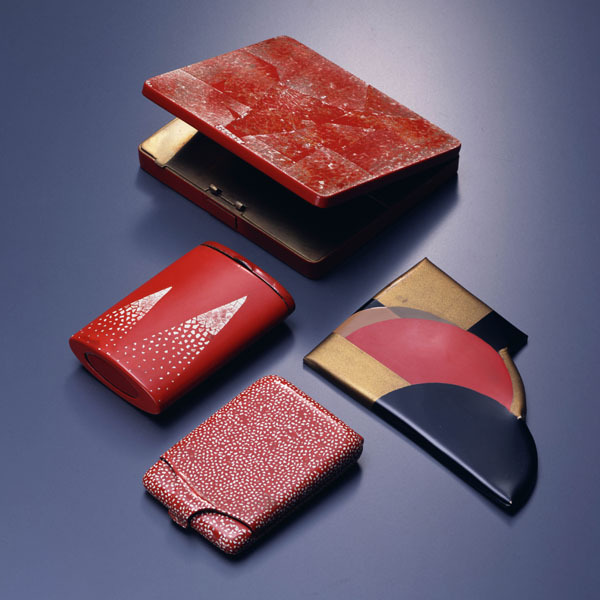 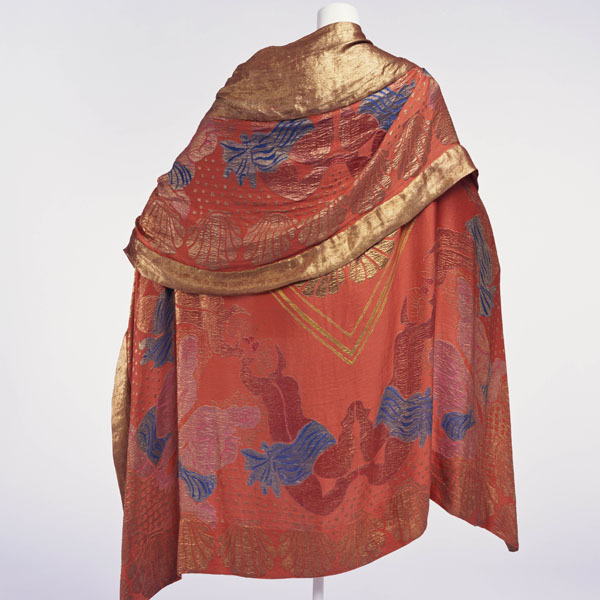 Liberty & Co. was established in 1875 (first called East India House) by Arthur Lasenby Liberty [1843-1917]. 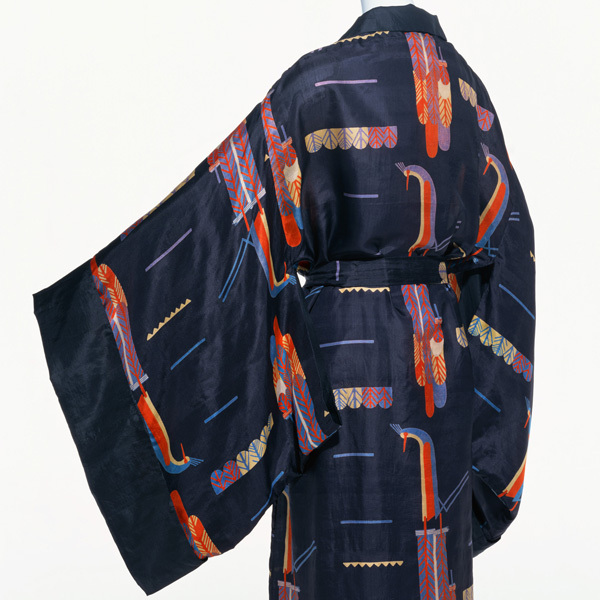 It sold silk fabric from Japan and China in addition to arts and crafts, and gained a particular reputation for its textiles. 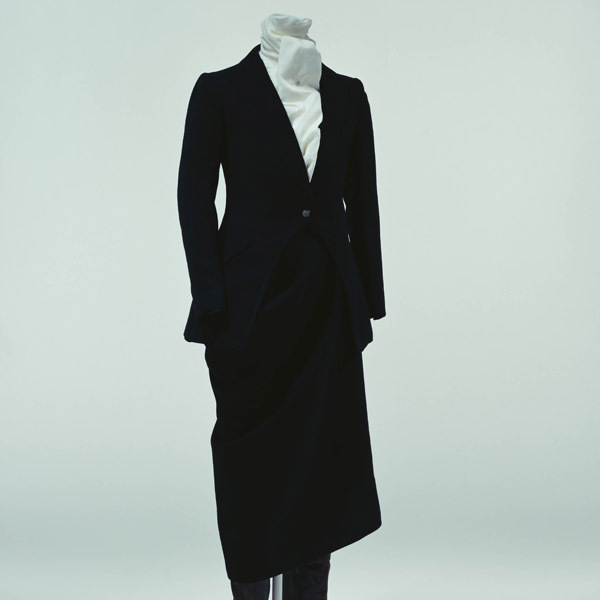 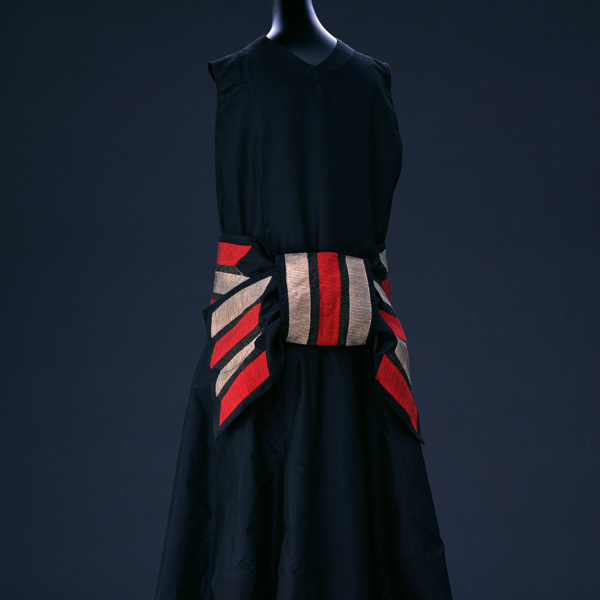 Liberty’s womenswear division was launched in 1884, and its artistic gowns, inspired by the aestheticism movement were a hit at the 1889 Paris Exposition. 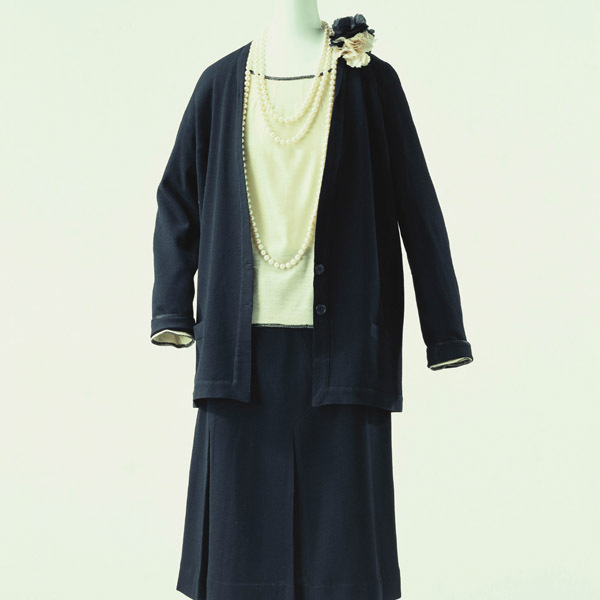 The following year, Liberty opened a branch in Paris, which operated until 1932. 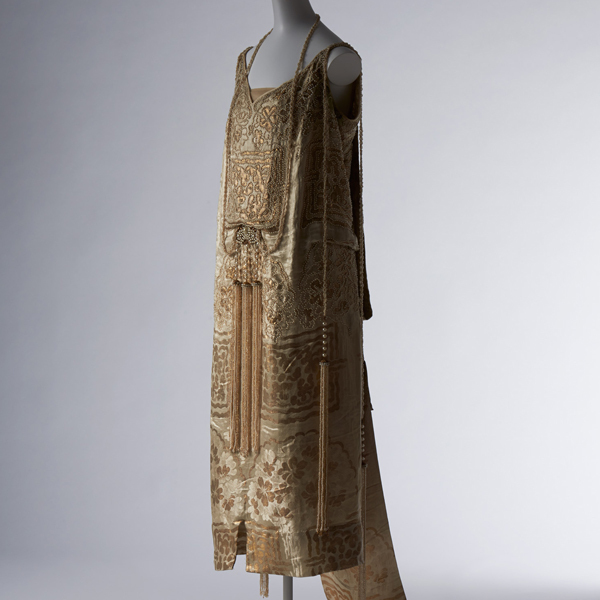 Liberty & Co. textiles were used by well-known Paris designers. 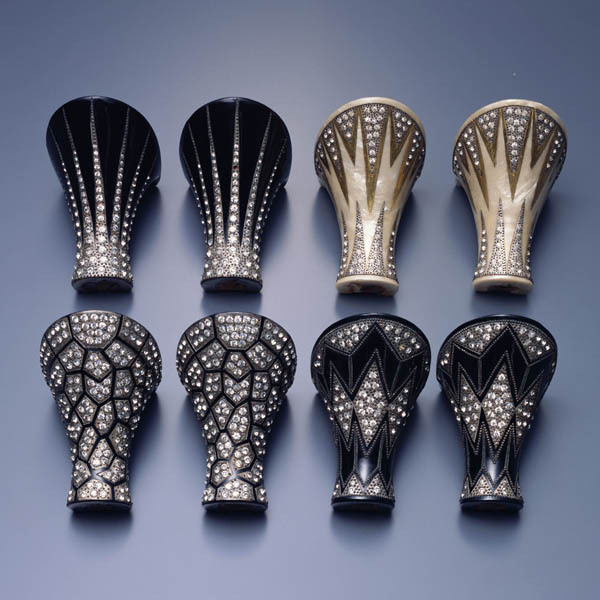 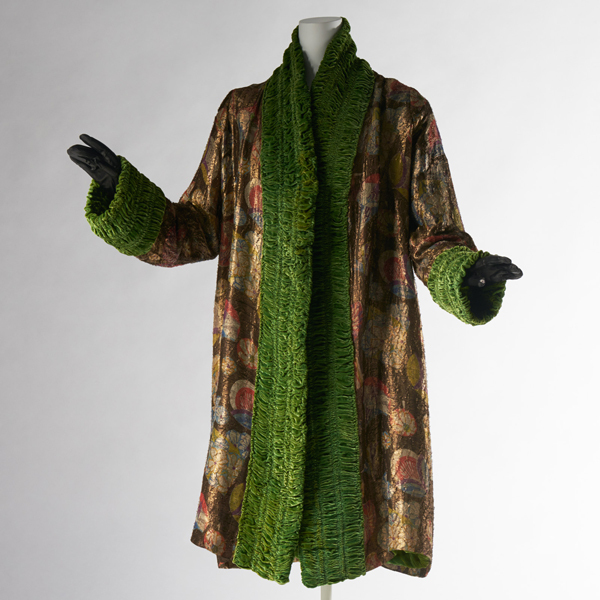 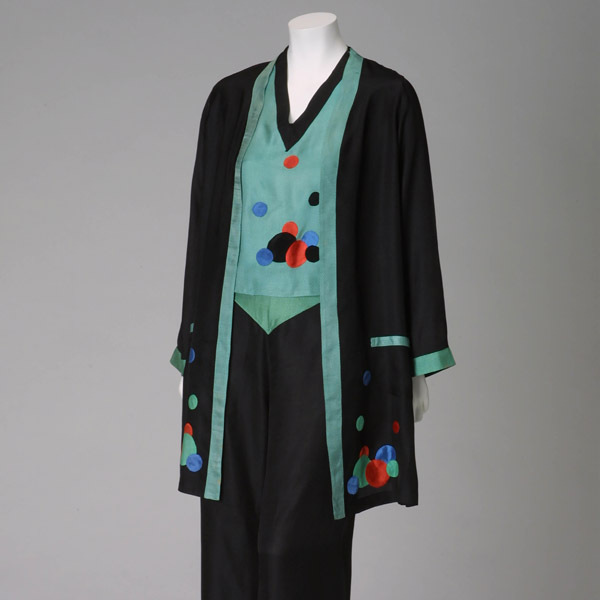 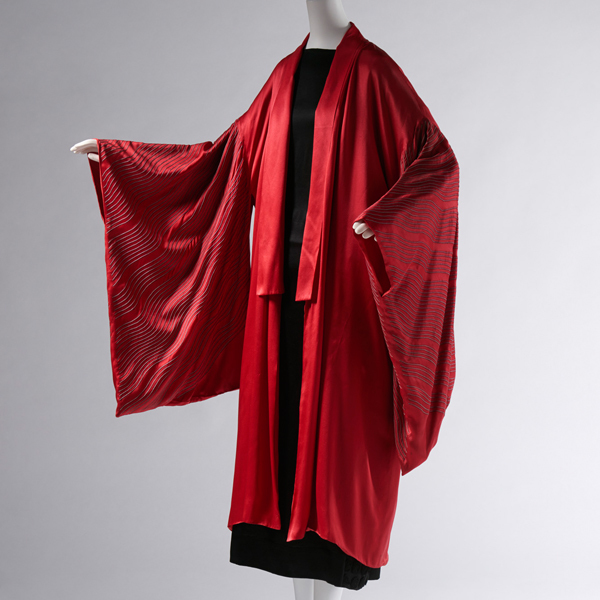 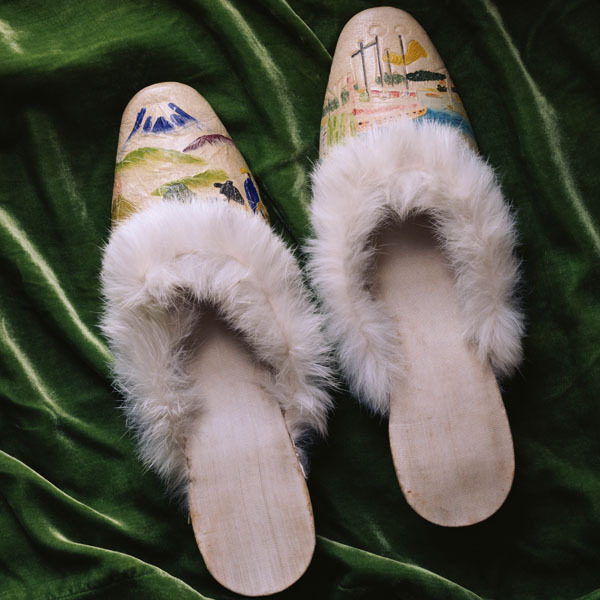 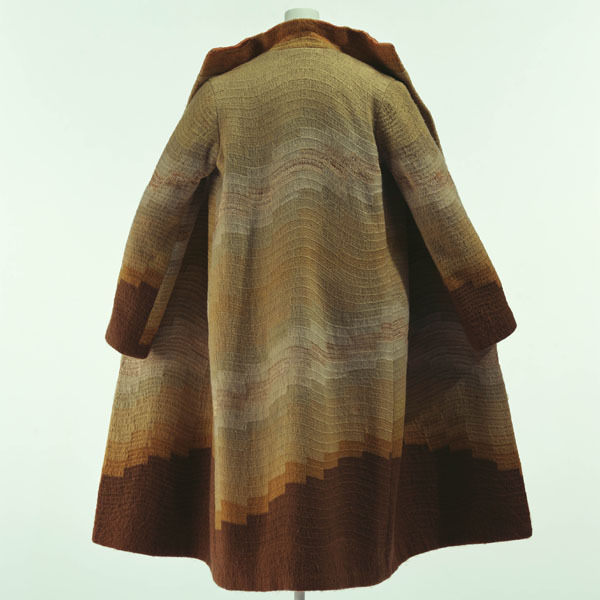 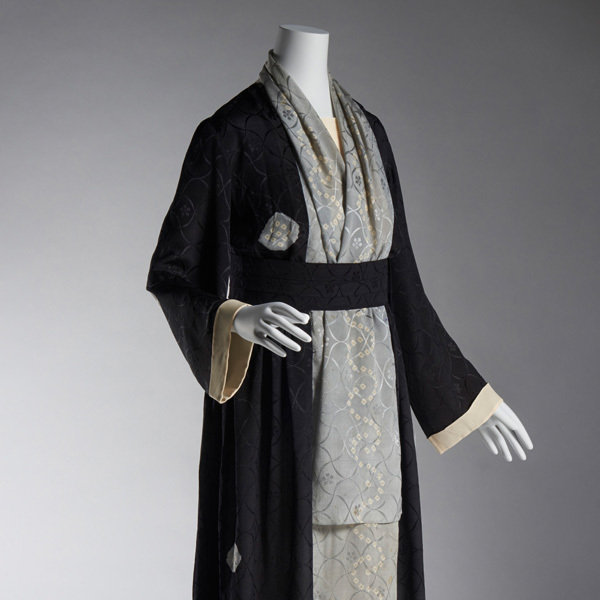 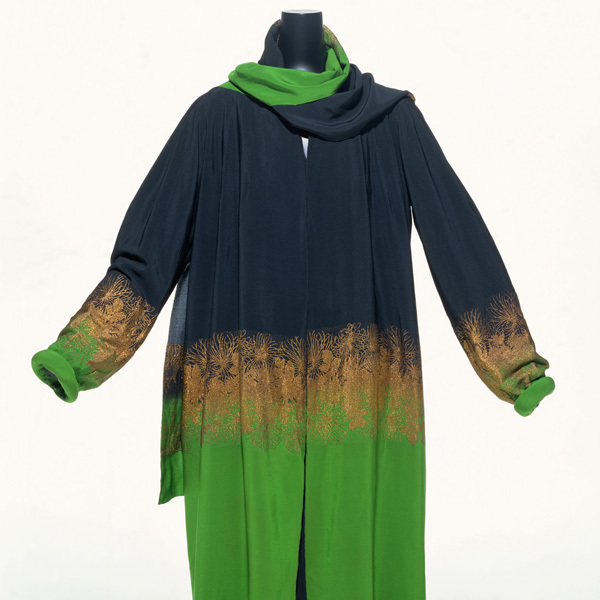 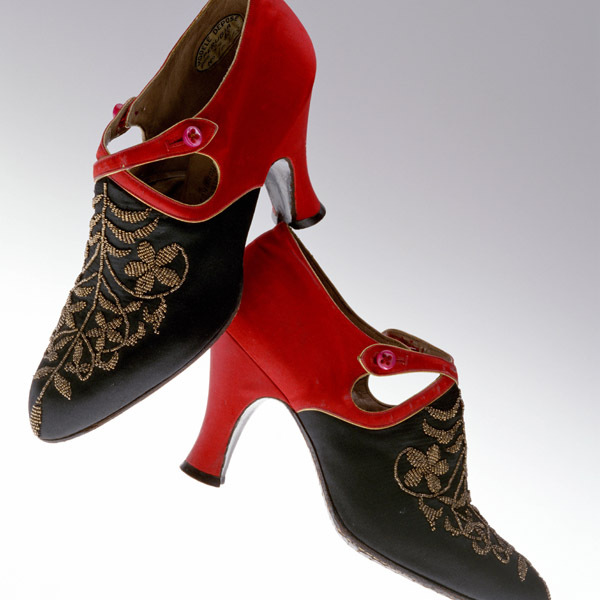 Among them, Paul Poiret, the leading force of the world of fashion at the beginning of the 20th century, is favor of textiles from Liberty & Co. since he established his maison in 1903. 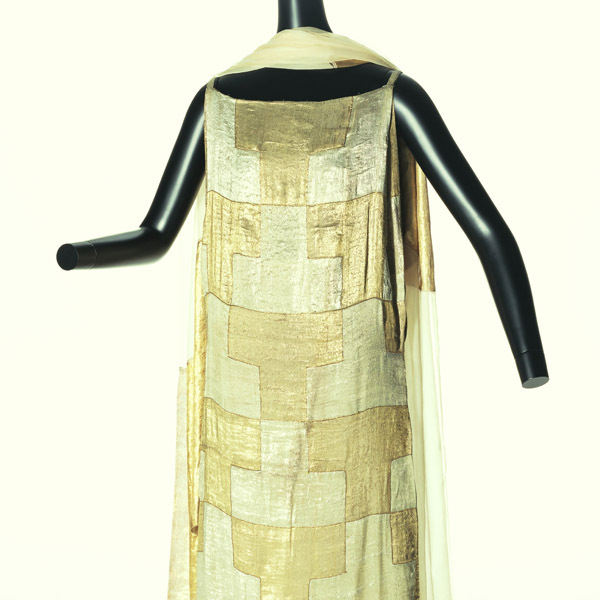 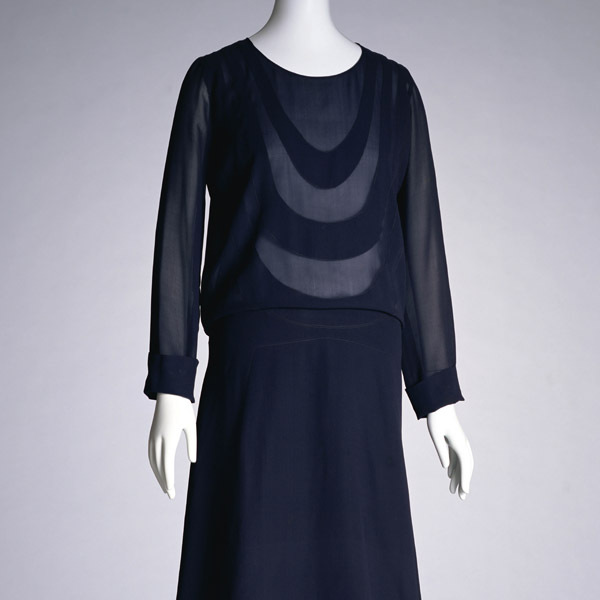 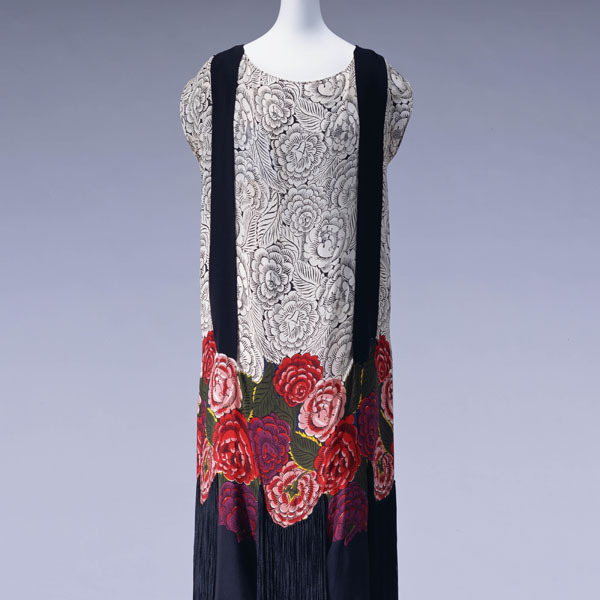 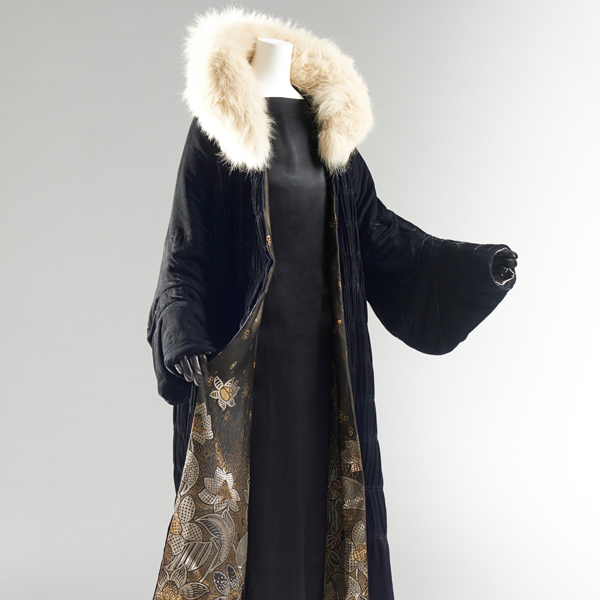 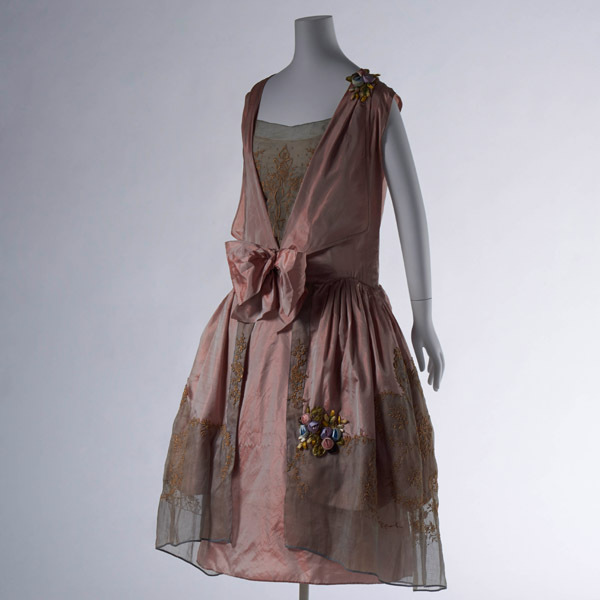 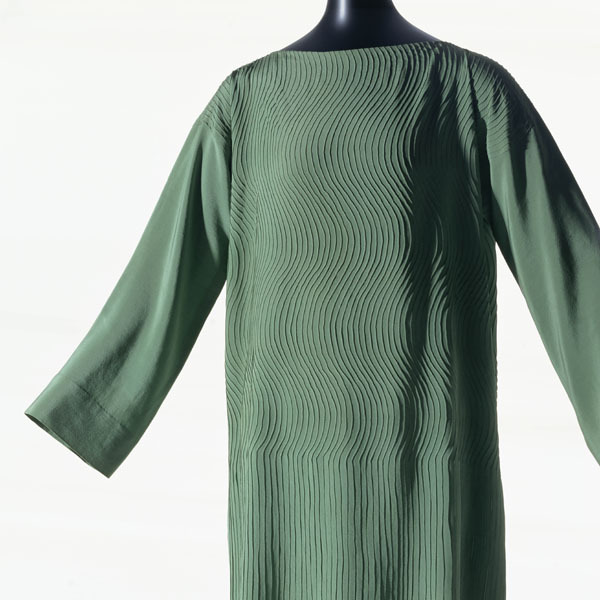 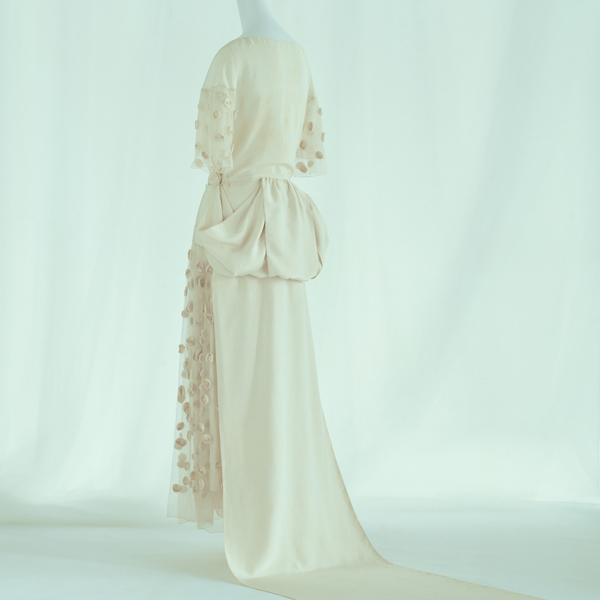 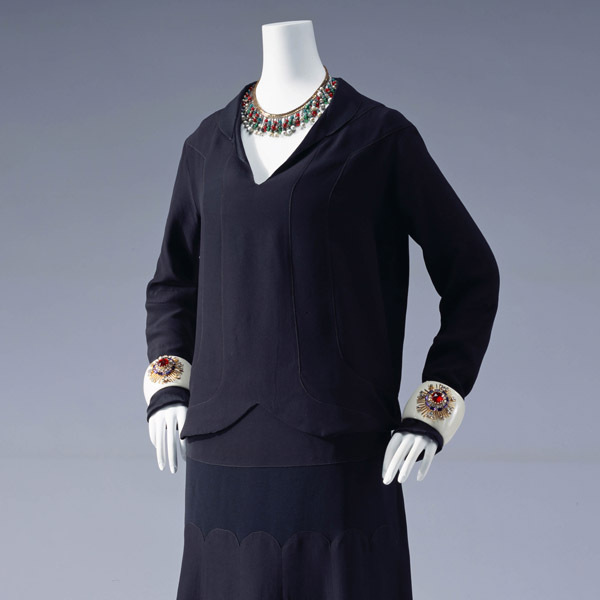 The fabric used in this dress was also selected for Poiret’s “Paravent” in 1924.